The First Patented Roulette Side-Game based on a spin of the Roulette-wheel in Combination with outcome of other Random Events. Pair+® Roulette™ is a FAST-ROULETTE Game. Played with a standard Roulette-wheel to produce a number and two 6-sided Crown and Anchor Dice to produced two Symbols per spin (Spade, Heart, Club, Diamond, Crown or Anchor). 1. Player selects a Numbers plus a Symbol (Spade, Heart, Club, Diamond, Crown or Anchor) on the Roulette layout. Note: Player may bet on Straight-up and/or Outside-bets, but not on Splits, Streets, Corners or Lines. 2. 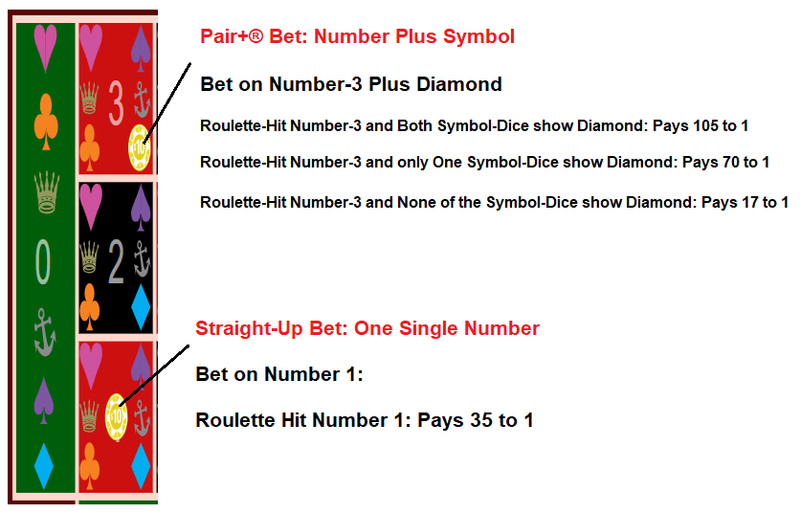 Player wins 105-to-1, if the ball lands on his selected number and both randomly selected Symbols match his Wagered-Symbol (Roulette-Pair). 3. 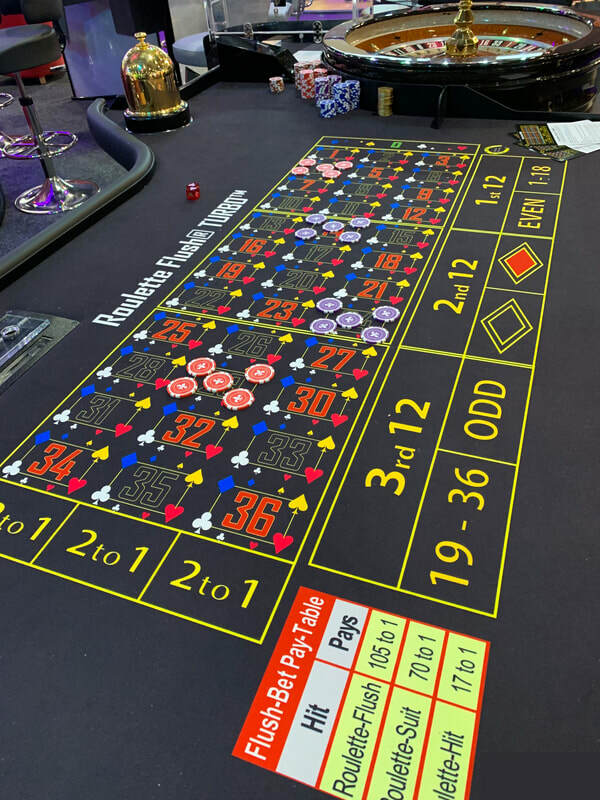 Player wins 70-to-1, if the ball lands on his selected number and just one of the randomly selected Symbols match his Wagered-Symbol (Roulette-Symbol). 4. 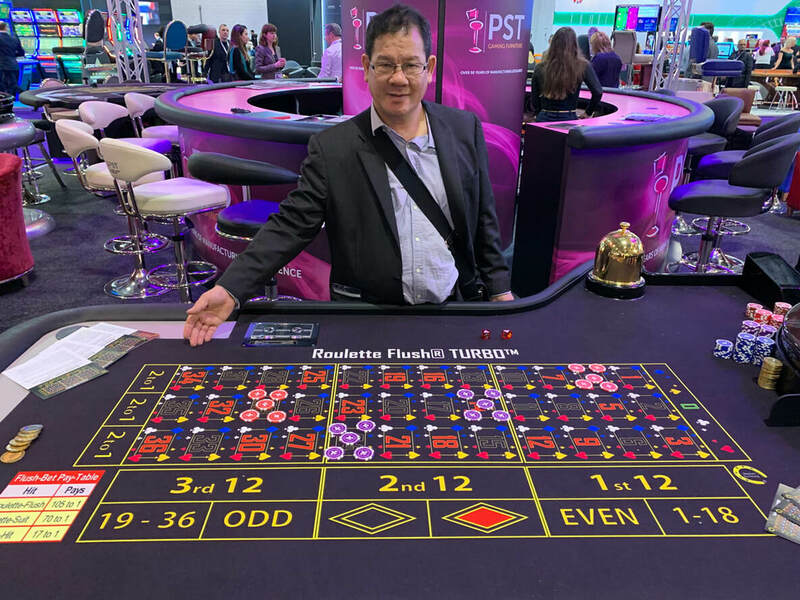 Player wins 17-to-1, if the ball lands on his selected number, but neither of the randomly selected Symbols match his Wagered-Symbol (Roulette-Hit). 5. Player loses his bet, if the ball doesn’t land on his selected number.